Over many decades until 2007, the Federal Reserve kept the price of gold artificially low by selling tons of bullion. However, coordinated gold sales by central banks stopped after the 2008 crash. Since then, central banks (especially in the Eastern Hemisphere) have been buying gold — feverishly. That is when rumors began flying about shortages in New York and London. Since the crash, there has not been enough gold to go around. Although the world’s biggest refiners have been working 24/ 7, shortages and delays have occurred every year at the five major mints. Many nations have demanded repatriation of their gold “stored” at the N.Y. Federal Reserve Bank; but they are still waiting. The Fed has returned only a few hundred tons of the thousands of tons requested by countries around the world. The West’s supply of “good delivery” bars is depleted. Most of the 400 oz bars in London/ Canadian/ New York vaults are spoken for. What happened to the gold? It flowed into the Eastern Hemisphere and the private vaults of the central banks and the über-rich. Now that most of the good delivery bars have been sold, what do bullion banks sell to keep the price of gold artificially low? 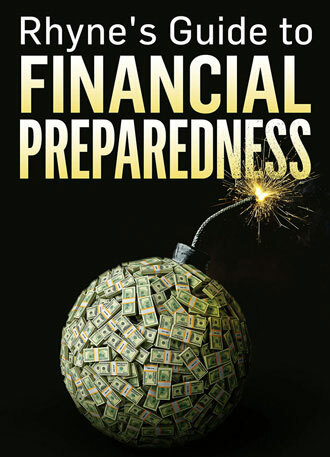 Instead of PHYSICAL gold, agent bullion banks such as GoldmanSachs, HSBC, and JPMorgan flood the market with massive supplies of PAPER gold (derivatives sold in the commodities futures market). When will the manipulation STOP? When the COMEX and the LBMA openly default. Gold price manipulation will stop when the exchanges openly settle delivery contracts with cash (this has already been occurring in SILENT DEFAULTS). while gold and silver coins/bars are still available. In 1933, the price of a 1 oz $20 gold piece was $20; today, the price of an old $20 Gold Piece is almost $1400. In 2000, the price of a new 1 oz gold coin was only about $300; today a new American Gold Eagle is $1,377. The Federal Reserve has been manipulating the price of gold ever since its creation in 1913. For forty years, the Fed held gold at the artificial price of $35 per ounce while the central bank wildly inflated the monetary base of the United States. In 1971, the dollar was completely de-linked from gold. In time, all currencies in the world were de-linked from gold and silver. That means all governments are now paying their sky-rocketing debts with printing-press-money (paper currency that is backed merely by faith). “Hard currencies” are backed by gold/ silver. In the past, nations with hard currencies kept countries with “fiat currencies” honest. The existence of national hard currencies discouraged countries from wildly inflating their money supplies. If one nation debased its money, people could flee from the fiat money, and flock to available hard currencies. For the first time in the history of the world, no paper currency is backed by gold or silver. The Federal Reserve has no restraints because the dollar is backed by nothing but faith. With a key stroke, the central bank creates trillions of dollars of credit. For the first time, gold and silver coins are the only hard currencies and the only real competition for the pound, dollar, Euro, yen, etc. That is why central banks coordinated gold bullion sales (1971-2007) in an effort to keep the gold price low. Gold cannot be printed; but imagine the unrestrained growth in the supply of paper dollars and other currencies in the last forty years. To maintain the illusion of king dollar, an all-out war has been waged to trash gold in the mind of the public. 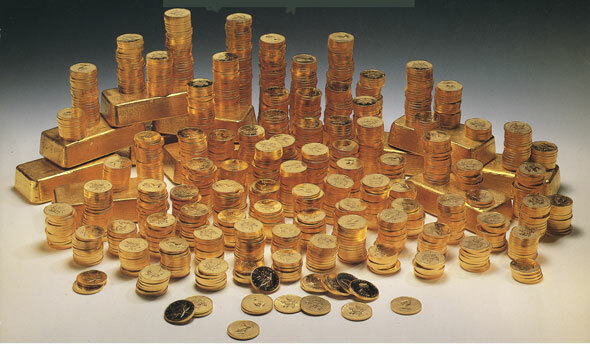 Although gold is and has always been the premier currency, only about ½ of 1% of Americans own gold bars and coins. In the long-term, holding dollars guarantees a loss. Compared to the dollar, the price of a 1 oz gold coin is UP more than 6,000% in 80 years. Paper dollars have lost that purchasing power over time. From where did the Federal Reserve acquire the gold that was periodically dumped on the market until 2007? 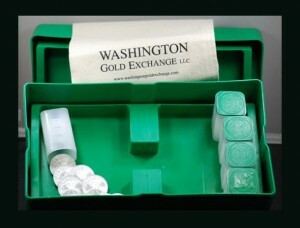 Did the Fed dispose of more than 8 tons (261.5 million oz) of U.S. gold?